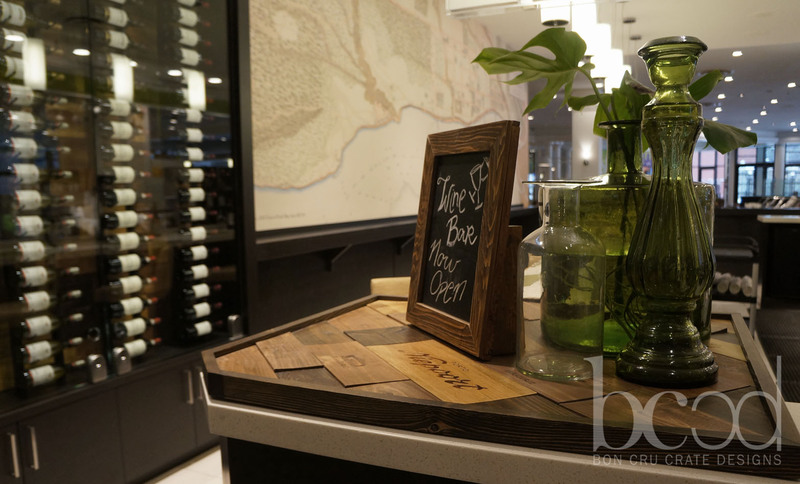 The Eaton Chelsea Hotel in Toronto is the largest hotel in Canada with over 1,500 guest rooms, 26 floors and 18 elevators. 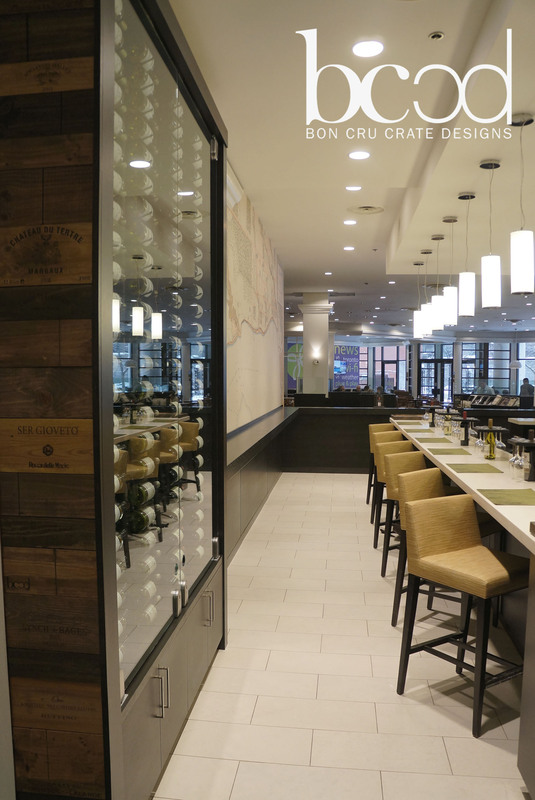 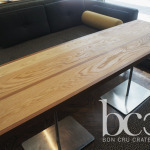 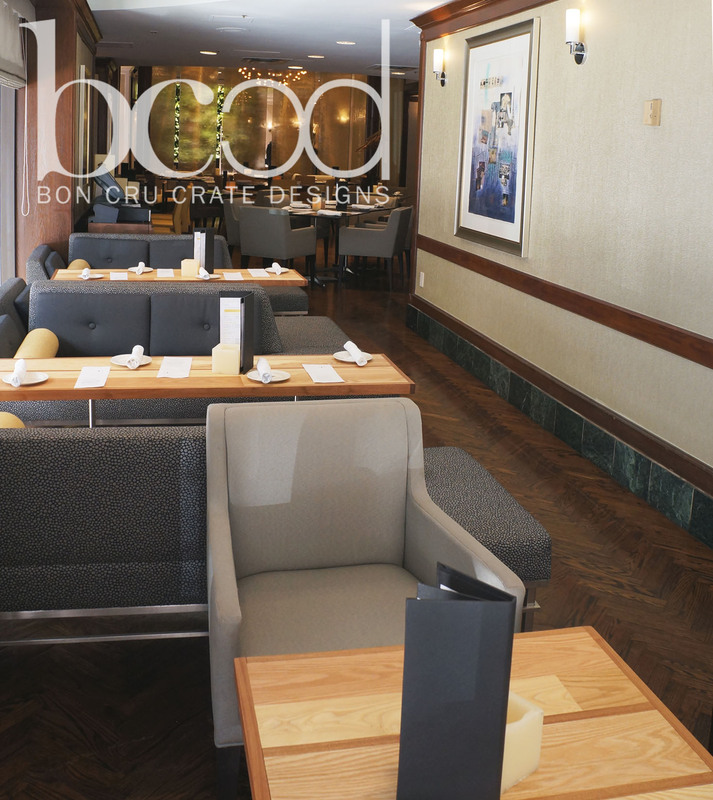 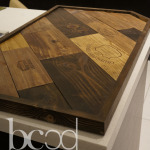 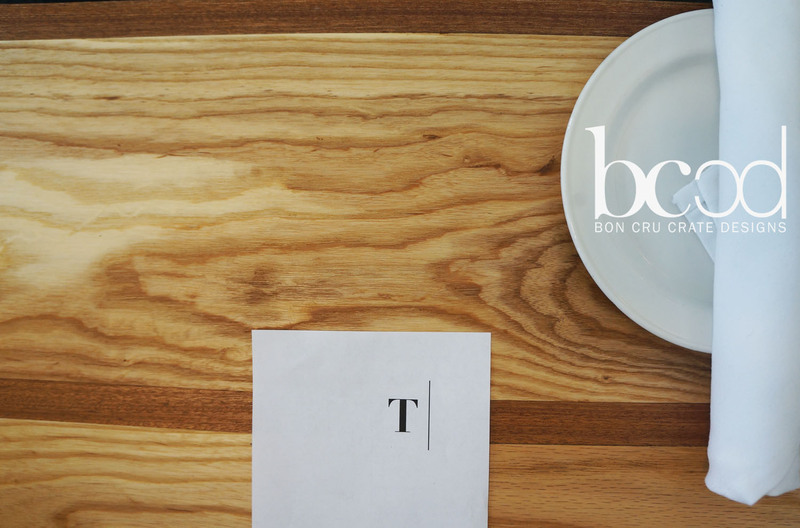 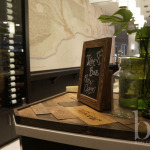 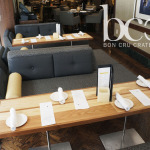 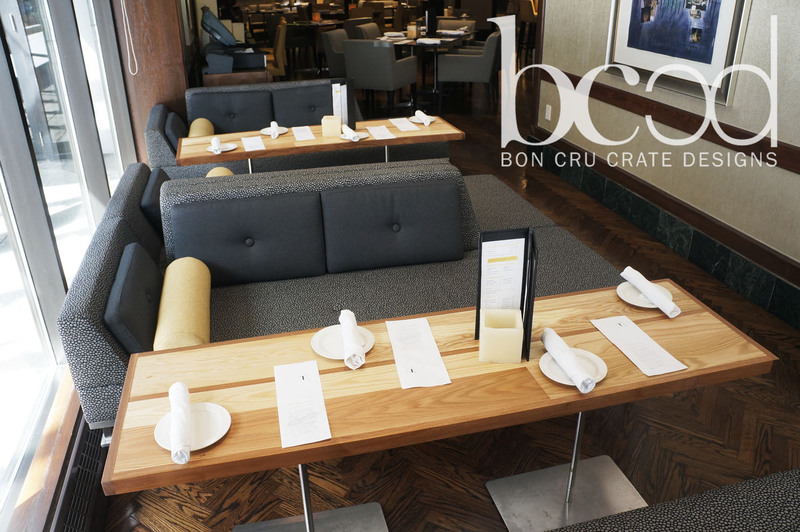 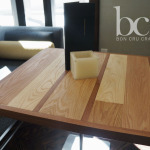 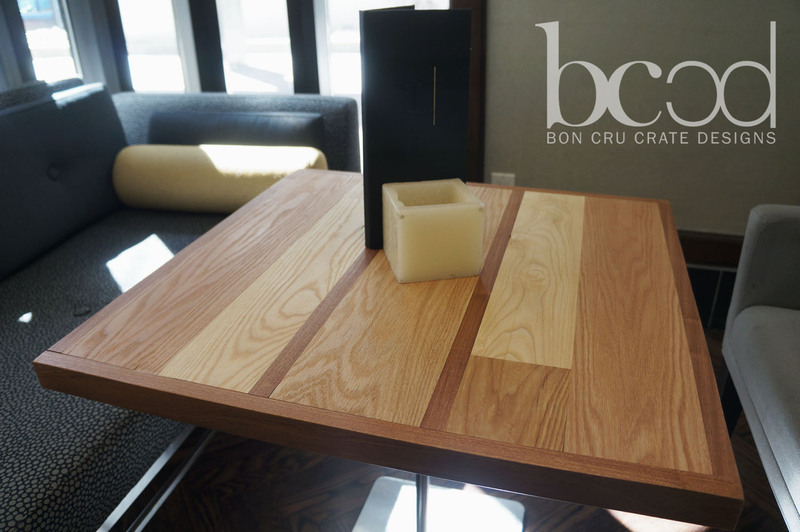 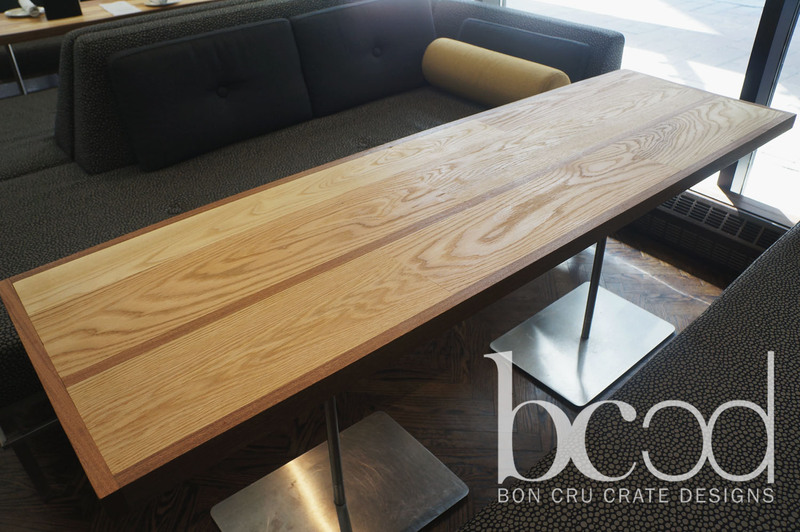 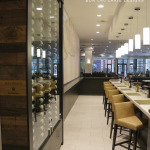 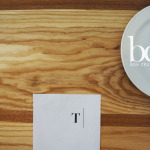 Bon Cru has recently partnered with the Eaton Chelsea to bring some of their visions to life. 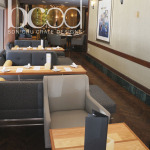 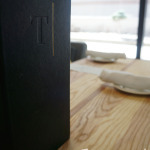 We created a Premier Accent Wall that is contained within a large wooden case. 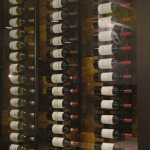 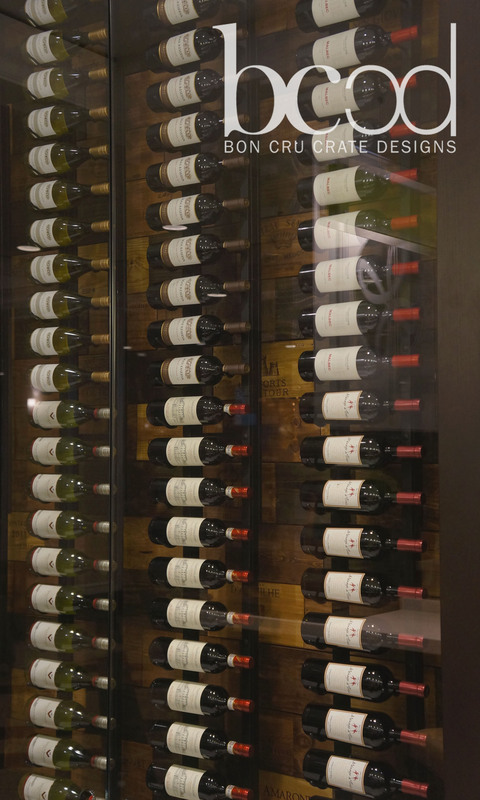 The case is enclosed with thick, tempered glass and houses over 9o bottles of wine. 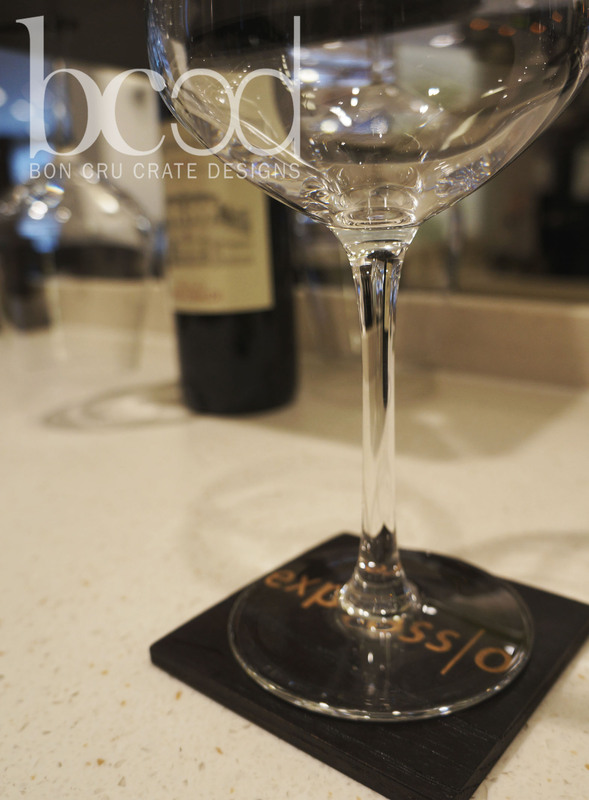 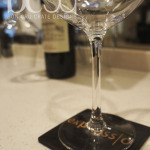 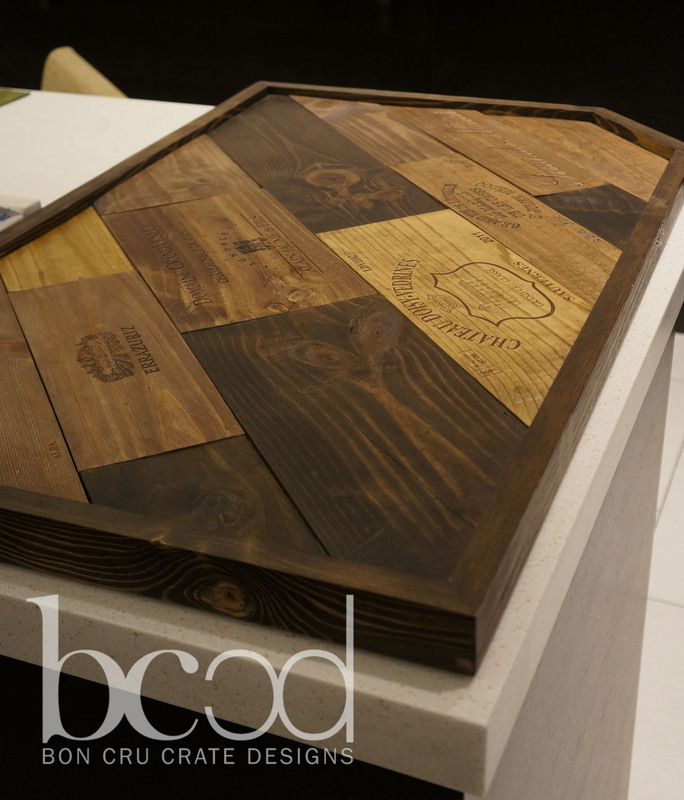 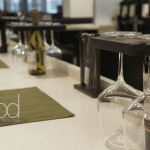 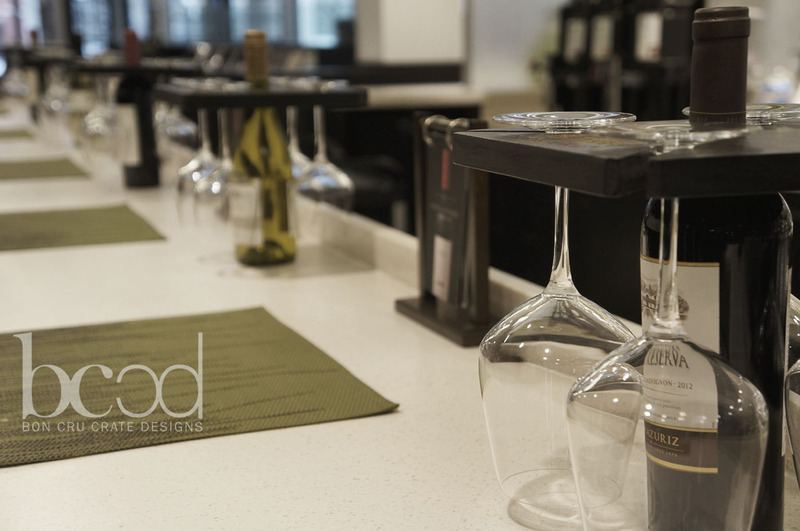 Additionally, we created multiple Cru Plateaus, engraved hardwood coasters and engraved wine glass holders; all to compliment and accentuate the recent addition of a wine bar. 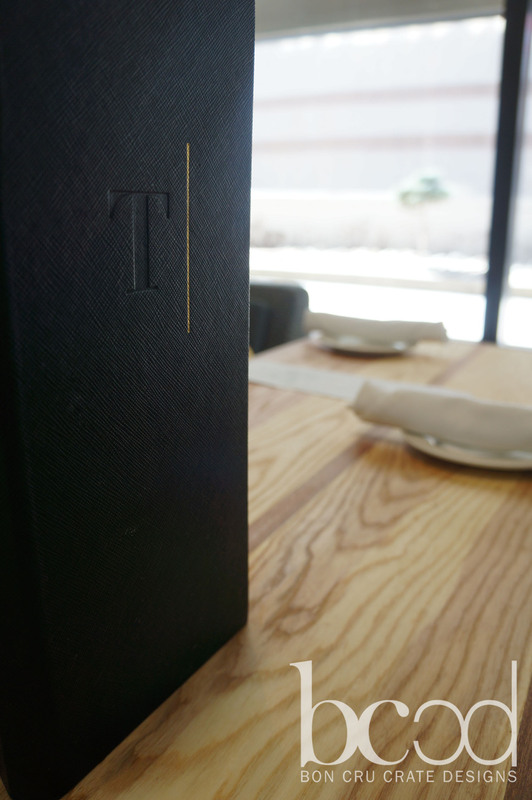 Sláinte.